We all like the feeling of having the swimming to ourselves or being the only one on a stretch of the beach, but these occurrences are sadly few and far between. What if you could guarantee that you would be one of the only people at the poolside, one of the only people in the bar and one of the only people in the entire resort? These fabulous private islands may be expensive but they no doubt provide an exclusive experience that we could definitely get used to. The 14 acres of Dolphin Island can be exclusively booked by up to eight people at any one time. The price may seem steep but this also includes food, drink, transfers to the island and non-motorised water sports. Accommodation comes in the form of three separate huts, known as bures. The most alluring of these offers an open-air experience during which you are greeted by the sunrise in the morning and your romantic surroundings are lit by candles and lanterns. 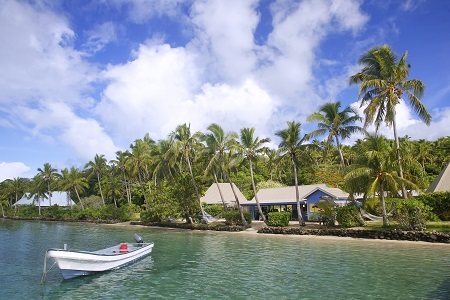 Other facilities include diving, fishing, your own catamaran to use, and a glorious spa offering natural treatments. As one of the least expensive islands on the list, Sapibenega Island is also one of the smallest. A real natural experience awaits you as you step into a resort that claims to be entirely ecological and is powered completely by the sun’s rays. There are 13 villas in total as well as two restaurants, and a variety of activities on offer. Discover your wild side as you visit local tribes, explore mangroves, gaze at cascading waterfalls, snorkel in the beautiful blue ocean and watch the birds flying peacefully from your sun-lounger. If the beach life isn't for you then how about spending surrounded by a lake; just like the Swedes do. 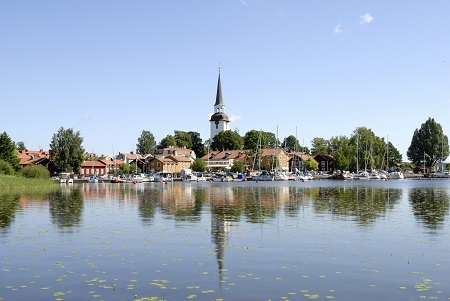 This small island in the middle of Lake Mälaren may not be able to offer soaring temperatures, luxury yachts and fine-dining restaurants, but its quaintness and charm cannot be questioned. As well as space for up to 10 people to sleep (a three-bedroomed house and two separate buildings each with a further bedroom) there is a private sauna and access to your own motor boat. This can be used to travel to the nearby town of Mariefred where you can visit Gripsholm Castle and ride the steam railway. You may already be aware of North Island, but if you are not then the mere mention of the fact that the Beckham’s and Prince William and Kate Middleton honeymooned here is sure to get your attention. The majority of the 11 thatched villas found on the resort have been built using reclaimed, local wood and that isn’t where thoughts of the environment end. When the resort was established, endangered plant and animal species were introduced to the island and now giant tortoises, fruit bats and vibrant birds thrive in harmony. There are no menus on North Island. Instead, you can meet with the chef whenever you like and discuss what, when and where you would like to eat. If you really want to get away from it all then you can’t get much more remote than the middle of the Indian Ocean. After flying into Male, the capital of the Maldives, you will be transferred by seaplane to this all-inclusive resort in Faafu Atoll. 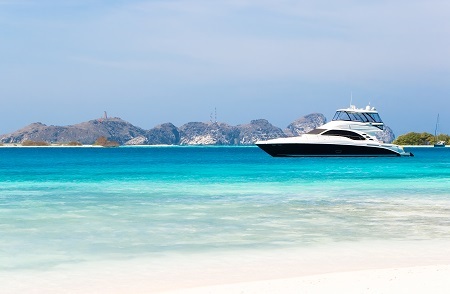 You will have your own private yacht complete with captain and crew to take you whether you want to explore, but there is plenty to enjoy on the island if you prefer. You and up to 10 guests can indulge in unlimited food and beverages, learn to dive with the help of your personal PADI instructor, explore the island in a canoe, or simply relax in the pool. Your nights could be filled by watching a movie, enjoying a moonlight picnic, or you could ask the captain the fire up the yacht and sail the seas under the clear night’s sky. Rania stems from the local word meaning ‘queen’ and that is exactly how you will be treated by the dedicated staff throughout your stay. If you are looking for something slightly more modest, Fred. Travel can provide a wide range of excellent holidays. From river cruises to city breaks; we have it all. Simply call us today or enquire online for more details.